However, I did insist on setting up my new workstation today, because having two sewing machines on my current study table is turning out to be non-conducive to both my studying and my sewing (studying, because I keep thinking of sewing, and sewing, because my anxiety over NOT studying pretty much clogs up any creativity I thought I had in the first place). It isn’t much as far as workstations go — but it is pretty lovely for me at the moment. 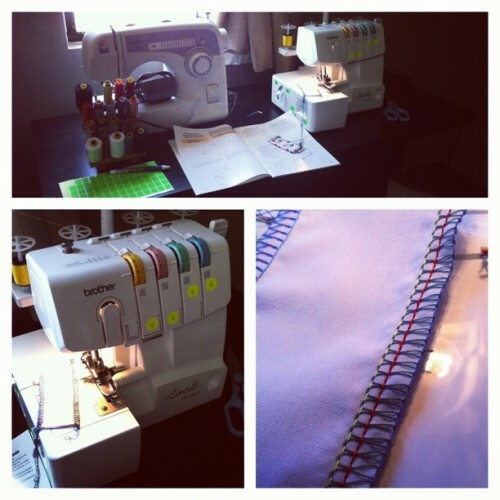 My sewing machine and my new serger!